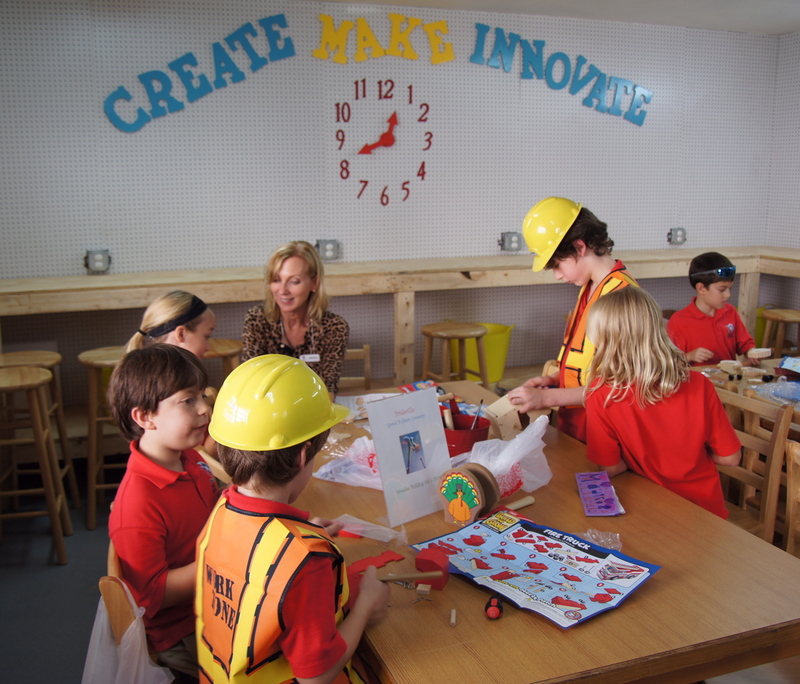 Lower school students use the Makerspace during a Prideville day– when they practice business in action! The Maker Movement is a growing trend across the nation and the world that takes the philosophy of “learning by doing” to another level. The idea is that students learn more from tinkering, creating, designing, and building– and this learning is active, engaging, and innovative. The learning taking place from “making” is precisely the type of learning necessary to prepare students for a future of careers that don’t even exist yet. This movement is making its way to the classroom in many forms: as part of STEM, robotics, and coding classes, as extensions of science labs, as creative spaces for visual arts, or as a throwback to the wood shop class that many of us took in high school (remember that awesome shelf you made?). Here at Grandview, the Maker Movement has a home in our brand new Makerspace. Grandview’s Makerspace was a true community project, created with significant help and guidance from parents and students. 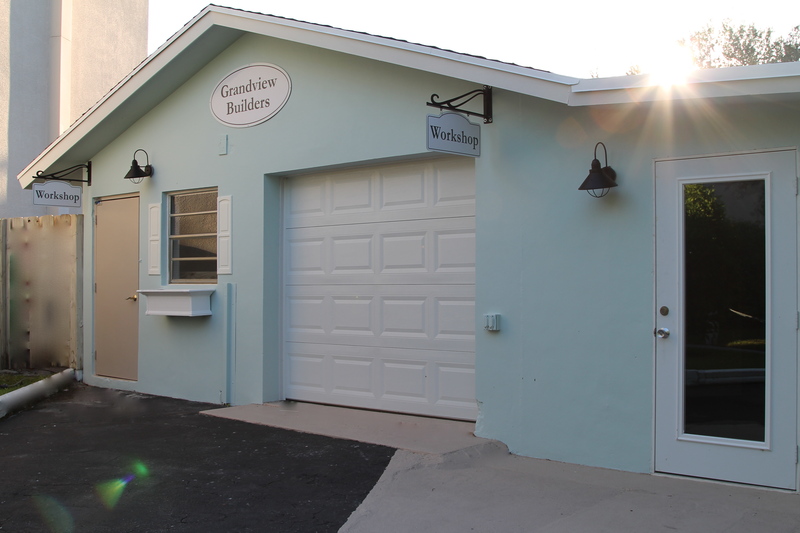 With the help and guidance of Grandview community members, we repurposed a small building on campus to serve as a gathering point for tools and materials that students use for making. In our Makerspace, students work together with teachers and mentors to make, build, and dream. The space is used throughout the day for class projects such as the physics regatta, and most recently serves as a home base for our robotics team. 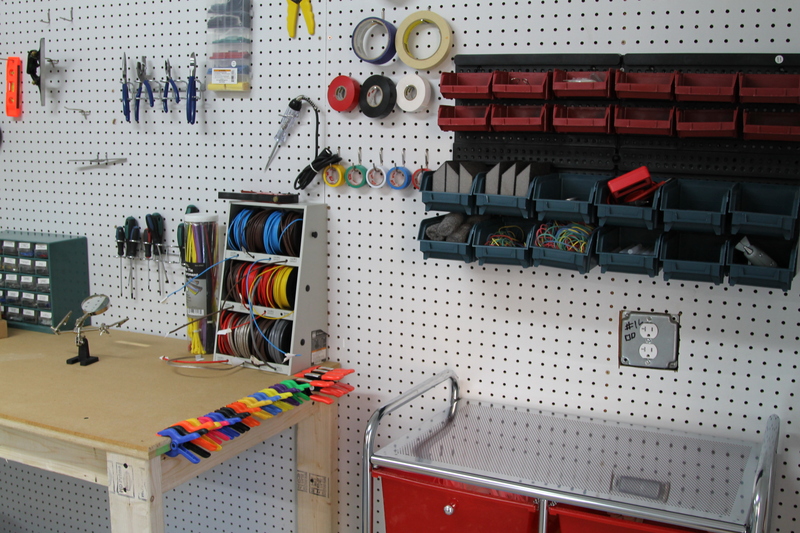 The interior of the Makerspace features an inventory room outfitted with tools and supplies and a work space with tables and work benches. Students will also use the space as they prepare for the annual Entrepreneur Fair— a perfect extension of the Maker Movement. As part of the preparation curriculum, students are field testing activities from Maker’s Crate, a program developed by Grandview parent and entrepreneur Kavita Sahai. Maker’s Crate teaches kids to create, innovate, and better understand the vital business skills related to entrepreneurship. Based on the entrepreneurship and innovation curriculum from Stanford and UC Berkeley, Makers Crate will offer monthly crate subscriptions for parents and a full curriculum for schools. This week, students in fifth grade received Maker’s Crate boxes filled with materials to create products and an activity to calculate costs and determine profit. Students used their imaginations to design and develop ornaments, bracelets, decorations, and even their own inventions with the materials. Then, using the cost of materials and the estimated costs of production, students determined the price of their product and calculated projected revenue and profit. It was a lesson in business and an exercise in creativity– all inside of a box and within an hour. 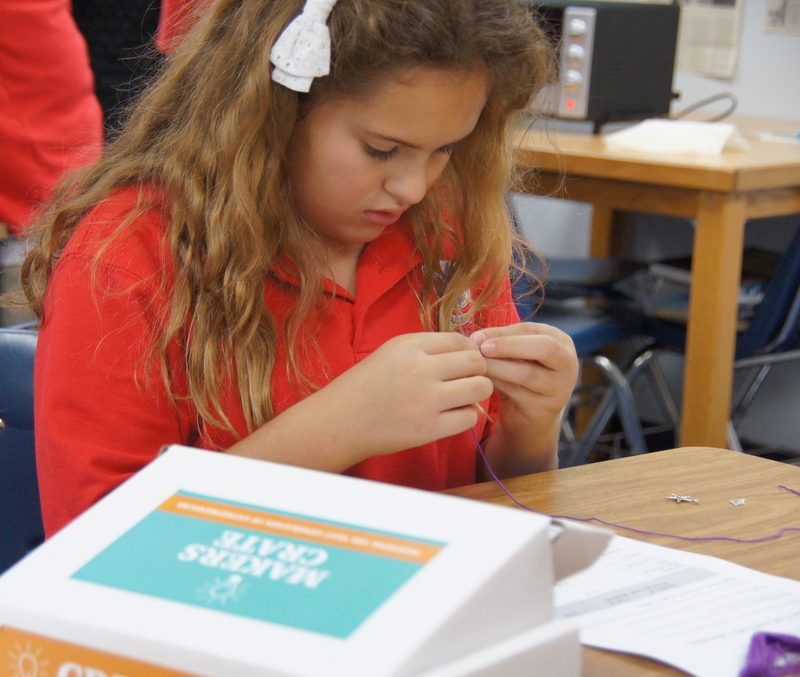 A student concentrates as she produces her product from the Maker’s Crate. With a space dedicated to making and a curriculum that encourages it, Grandview students are poised to lead a new generation of inventors in this rapidly-changing and always-evolving world. Tags: Creativity, Entrepreneurship, Innovation, Maker Movement, Makerspace, Makerspaces. Bookmark the permalink.